I managed to use your crack for version 5.1.2, however I could not make it work for 5.2.0? Please tell me how to crack the latest version 5.2.0 using which files? i tested all your cracks man, no one is working for me , any help?? You do not have a valid license! 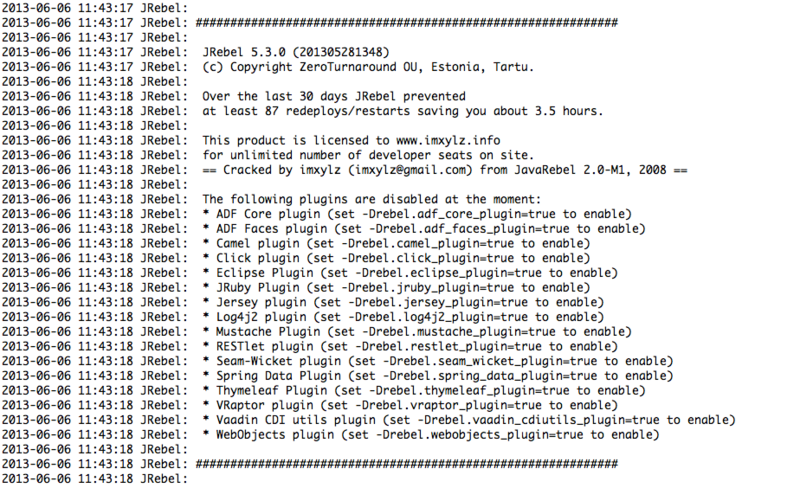 are you have jrebel-6.0.0-crack file? can you help me for install it ?